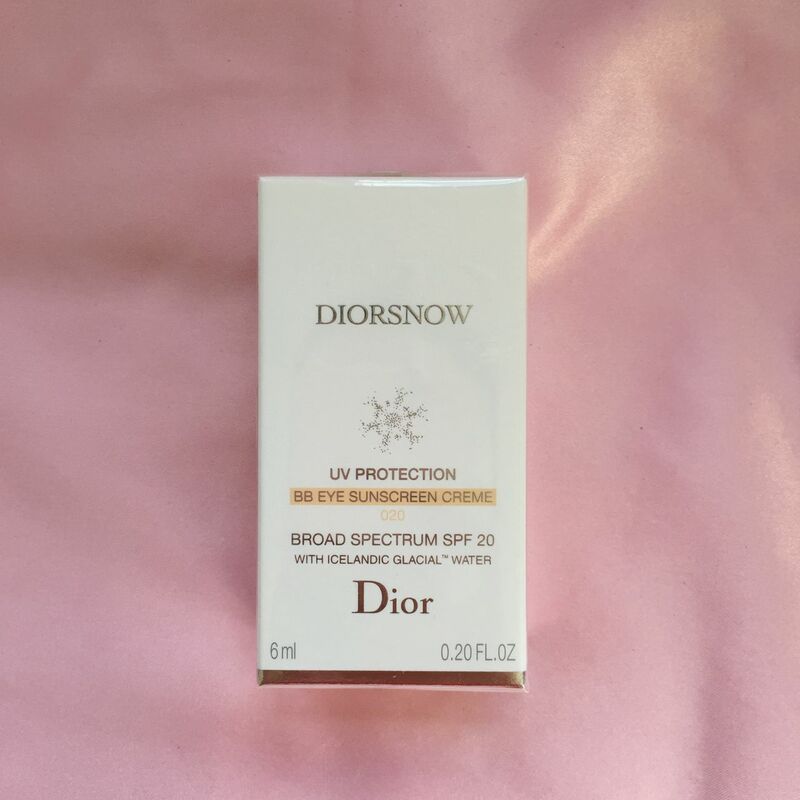 This is the first (and so far the only) product I bought from the new Diorsnow collection. The purchase was rather impulsive: I was at Nordstrom and liked an idea of a BB eye cream. Especially the one that, according to the description, helps cover dark circles and has SPF 20. So, I decided to try it. 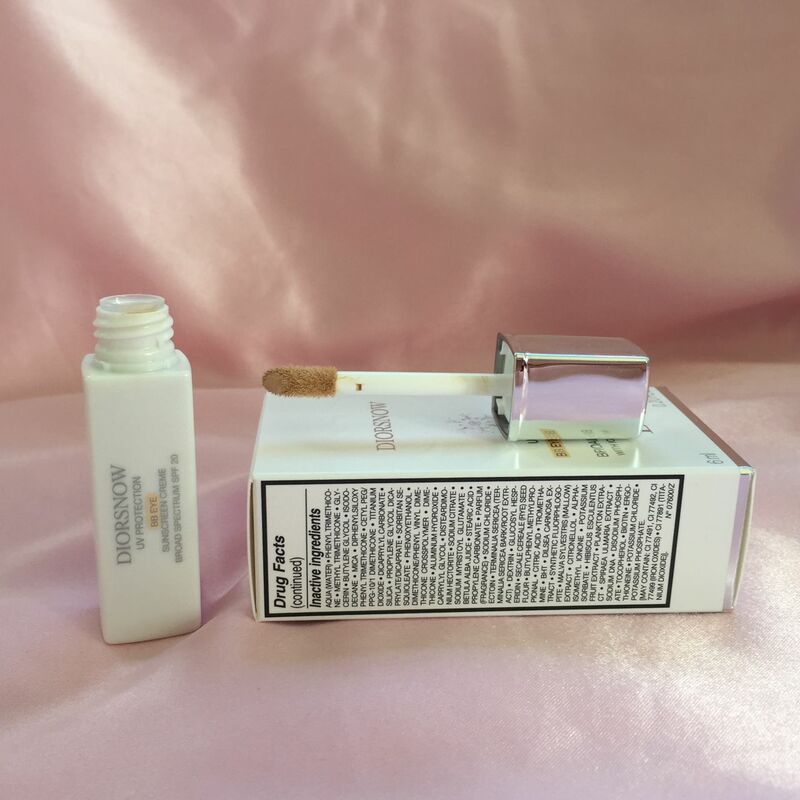 This eye cream comes in a small tube which reminds me of Diorskin Hydra Life BB Eye Creme (it was so heavy and cakey I couldn’t use it). Essentially it is the same tube but colored white. The packaging is very nice but nothing special. The price tag is a bit worrying — $49 for a small tube. I decided to keep this eye cream, but I am still not convinced it’s worth that much money. Why – I’ll explain in a second. 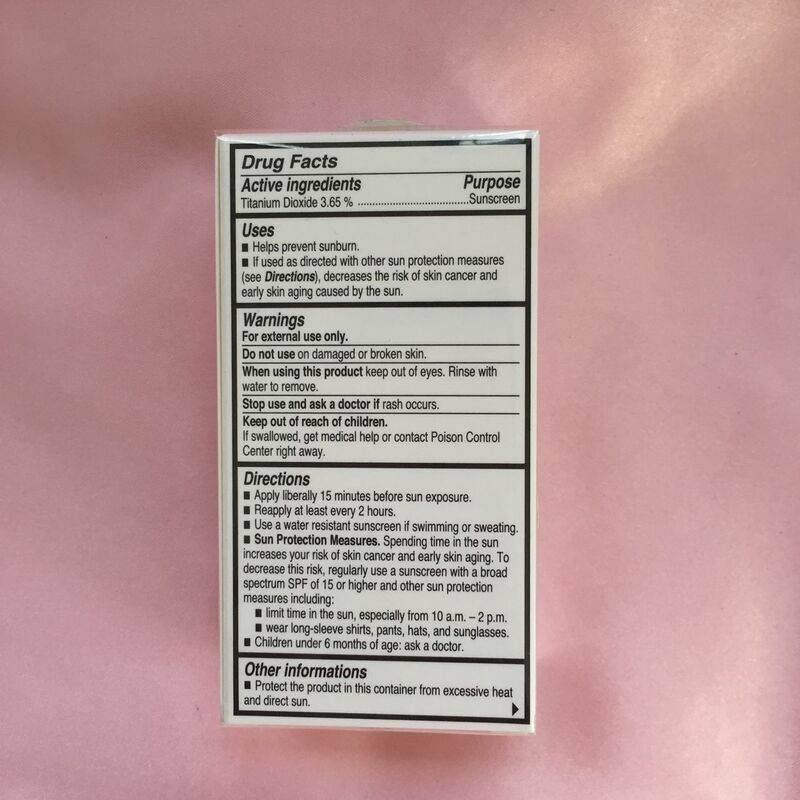 The weight is 0.2 oz., and the main active ingredient is Titanium Dioxide 3.65%, which is a standard pigment found in majority of sunscreen products. It is believed to cause less skin irritation than other chemical compounds that can absorb UV light. So, in terms of sunblocking there is nothing unique about this cream. Also, apparently the cream contains ‘Icelandic Glacial Water’ – I don’t know what it does for you and I didn’t find any explanation of its benefits on Dior website. I bought the cream in Shade 020 which is light/medium beige. There is also much lighter, ivory shade – Shade 010. However, Shade 020 is the only shade Nordstrom carries. 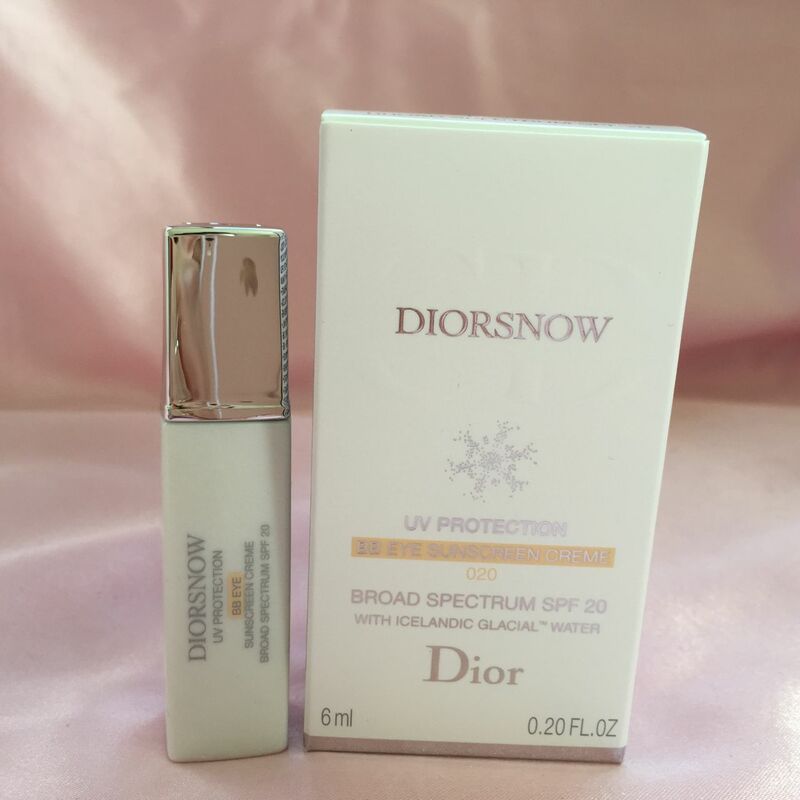 If you need Shade 010, it’s definitely available in Dior boutiques or website. I am not sure about other retail stores. I know for sure that Sephora doesn’t carry it. Neiman Marcus has it but doesn’t specify the shade (on the website). This eye cream is designed to serve as an eye treatment, a concealer and a sunscreen for the under eye area. Dior description claims this cream helps reduce puffines, dark spots and dark circles. I cared mostly about dark circles. I religiously applied it for a few days and can say that for me it doesn’t really work as an eye treatment. First of all, it’s a bit heavy to wear – when I apply it, I feel that my skin under eyes becomes more tense and dry. 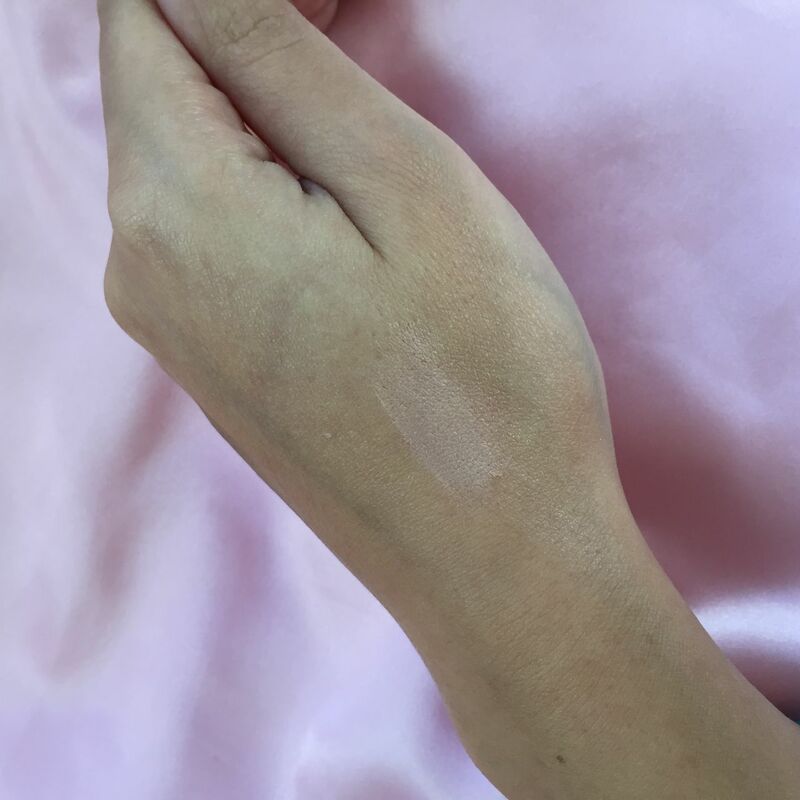 This cream feels not as heavy as a usual concealer but as heavy as a foundation. Second, I didn’t see any changes in my appearance: the dark circles stayed where they always were – under my eyes. However, I have to say that I like this cream as an under eye concealer. It has a nice texture – not too thick, not too thin – and it absorbs quite quickly. It’s a bit lighter than my skin – but concealer is supposed to be – and when I blend it in my skin, dark circles do become less visible. I usually apply the BB eye cream after the primer and before my foundation – it works out well for me. Dark circles are less visible, I have fresher, ‘well-slept’ look. I don’t care much about it as a sunscreen – for that purpose I use Shiseido sunblocks (they are amazing). It’s nice to have SPF in your eye cream but nowadays most foundations and powders have it anyway, so your under eye area most probably will have sun protection one way or the other. So, what is my conclusion? 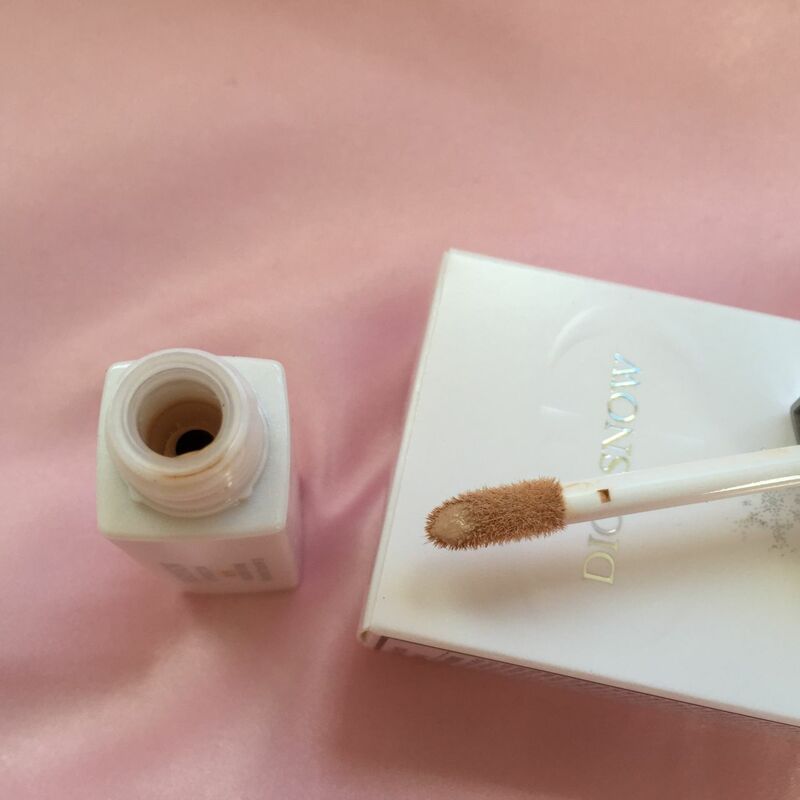 If you are looking for a serious eye treatment – skip Diorsnow BB eye cream. If you want more sun protection – think about it but keep in mind that there are tons of great sunscreens for face out there for much lower price. 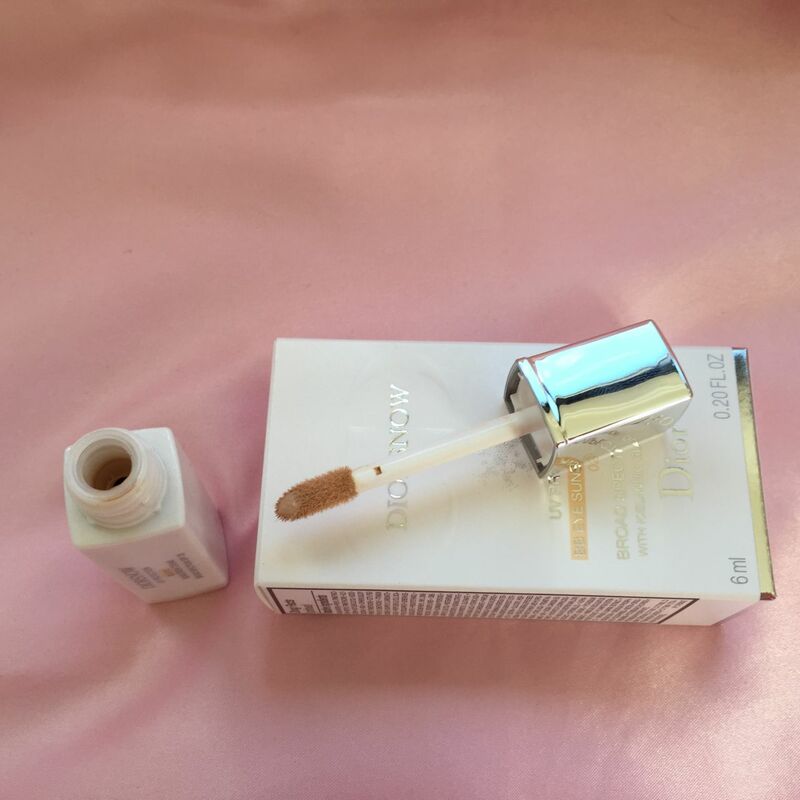 If you are interested in a concealer – consider this eye cream. Go to the store, try it on. It helped me hide my dark circles and I have pretty bad ones (genetics). However, I can’t say I am in love with this product. I probably won’t buy it the second time. It provides additional sun protection. My results of using it as an eye treatment were disappointing – I didn’t see any changes.